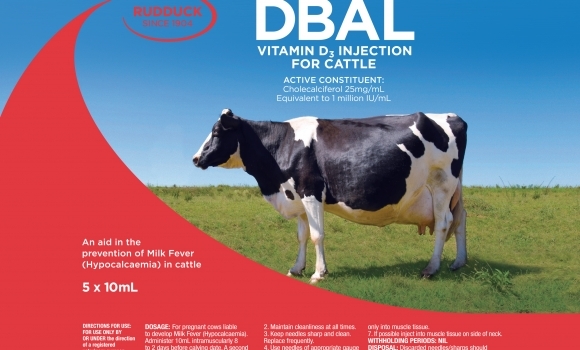 Administer 10ml, Intramuscularly 2 – 8 days before calving date. A second dose should be administered if calving is later than 8 days following initial injection. As far as possible avoid injection of animals during wet weather or under dusty conditions. This product should be only injected into muscle tissue. If possible inject into muscle tissue on side of neck. Discarded needles/sharps should immediately be placed in a designated and appropriately labelled “Sharps” container.